KEN YUSZKUS/Staff photo. 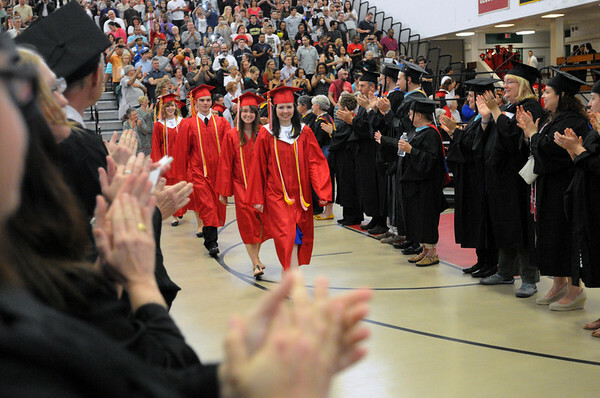 The faculty applauds the graduates led by Emma Williamson during the processional of the Salem High School graduation. 6/6/14.